Bf109 G-10 Is Moving Along. I have been able to get a bit done on the 109, and so far, so good. One thing I discovered, is an incorrect number on the instructions. In the next series of photos, I address the front scoops. The Barracuda parts I bought are very nice, and I think they will add a nice bit of detail to the kit. In this first photo, you can see the scoops before and after removal. On the left are the molded-on scoops and the right are the holes left after removal. I used an Xacto saw to cut them off and sanded the remainder smooth with narrow sanding sticks. After that, I used a new Xacto blade to clean out the holes and make sure the shape was correct. Here is a view from the front showing what they look like before removal. Another side view with the Barracuda scoops installed. And a final, head-on view comparing the molded on detail to the resin parts. The molded on detail looks fine from the sides, and on the completed model probably wouldn’t be that noticeable to some, but the resin parts add just a bit of quality, and this was a good exercise to get back into after market parts. As the title says, construction has begun on the Revell Bf109 G-10. I have been working on the first few steps which involves putting together and painting the cockpit and instrument panel. So far, so good. There are a few minor things that need attention and I will deal with those in the following photos. The first thing to do is cut the parts off the sprues. One of the first items, are the rudder pedal. As you can see below the parts aren’t molded all that great. Quite poorly in fact. But, with a samll bit of work they look fine after they are cleaned up. And I discovered they look quite good with paint. More detail than I first thought. the floor of the cockpit is molded very nicely. Somewhere along the line one of the pegs that the rudder pedal attaches too, was broken off, so I had to get creative. Those extra Panzer IV spare road wheel brackets came in handy. There are a few small, finely detailed parts that attach to the cockpit sidewalls, but all of those were perfect. After all of that was assembled, I turned to the instrument panel. First I painted it then brushed a fine layer of Future on it in preparation for the decals then gathered up everything I need. Here is the result after a few coats of Solvaset. So, there it is so far. If the kit continues on as is, it should be a fun, pleasant build. Now that the Panzer is done, it is time to shift gears. This time it will be the Revell 1/32 scale Bf 109 G-10. From all I have rad and seen about this kit, it should be a fun build. And 1/32 scale is a scale that I haven’t built for a very long time. Here is a video showing the kit and what I intend to do. Here are my thoughts on this kit. First, it is old. 1975 old. What does that mean? Not a thing! To me anyway. Even though this is an old kit, it still holds up well. I guess there are dimensional issues, but I think that has more to do with the fact that originally this kit was designed to be filled with batteries and a motor so one could run it across the floor. True, it doesn’t have the crisp detail of modern kits, but keeping in mind that it is a 40 year old mold… I can live with it. 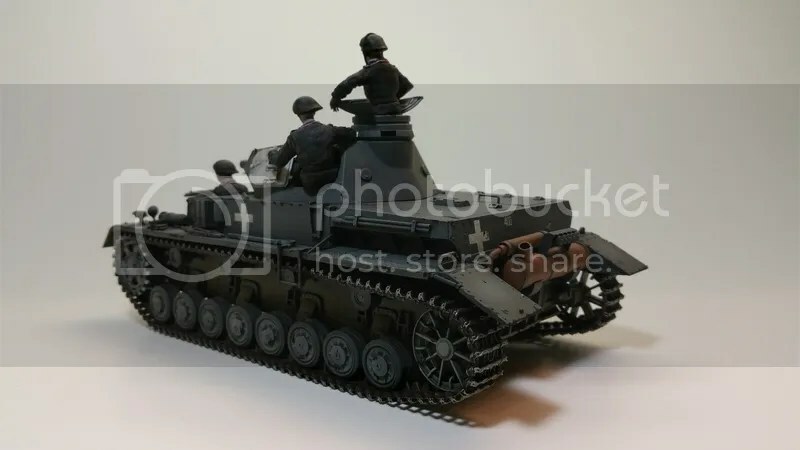 And since these kits are generally pretty cheap, one could buy one and practice some scratch building and simple modifications and turn out a really nice finished product. 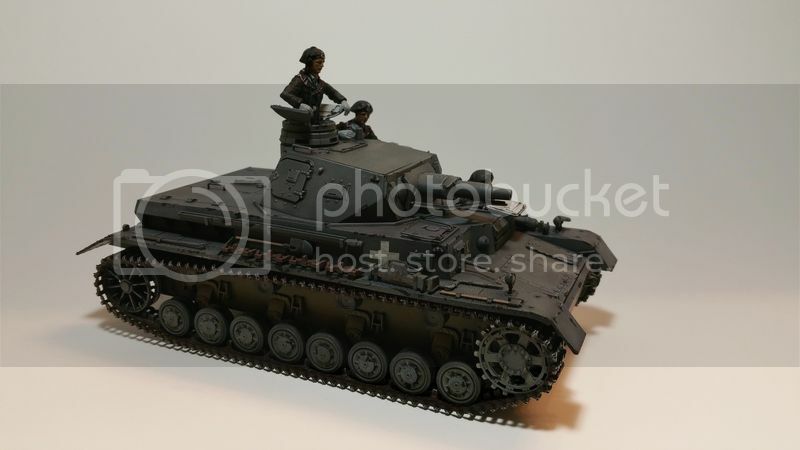 Second, in typical Tamiya fashion, it fits together exactly as it should. I didn’t have to monkey around with anything. It fit together perfectly. Third, the instructions are spot on. No surprises. I don’t know if anyone reading this has been following my YouTube channel series on this build, but I mention early on that it is a stellar kit for beginners. No issues to deal with. Easy to build. Some halfway decent figures to liven the kit up little and add some scale. I built this kit for two reasons, one being an attempt at a tutorial for beginners. 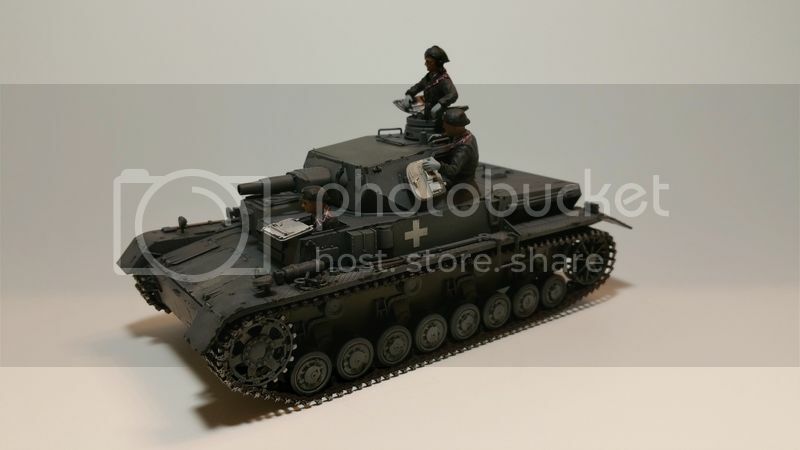 The other reason I chose this kit, is I have never built a German vehicle in early war markings and grey paint. So, overall, I really enjoyed this project. It is a kit that I always wanted when I was in school, but could never find one. Back again with more update goodness. In this episode there not one… not two… but, three update videos! The first deals with applying the decals for this kit. I discuss what products I use and how I apply them. In the second, I start the weathering process. Nothing complex (keep in mind that I am gearing this first series more towards the beginner,) but I talk about some simple techniques that anybody can do. And last, a September update.